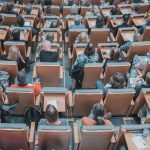 The Department of Education announced on December 13, 2018 that it will cancel thousands of borrowers’ federal student loans through an Obama-era program meant to give relief for students defrauded by their colleges. Ironically, this forgiveness comes through the very same program DeVos failed to destroy earlier this year. Here’s what our partners and allies had to say about this latest news. Though Sec. 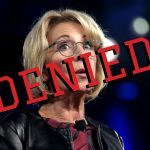 Betsy DeVos wanted to curtail students’ protections from predatory, for-profit colleges, the sheer volume of comments and stories submitted by the public have forced her to delay her dangerous deregulation agenda. This is a victory for students, especially those who were defrauded by predatory colleges and are waiting for relief from their student loans. Here’s what our partners and allies had to say about this great news. 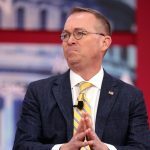 On August 27, 2018, the top advocate for student loan borrowers at the Consumer Financial Protection Bureau resigned from his post. In a scathing resignation letter, the former Student Loan Ombudsman makes it clear that, under its Trump-appointed director, the Bureau has abandoned consumers in favor of the interests of large financial companies. Here is what we and our partners had to say about these latest developments. 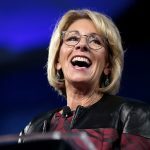 In sweeping move, Secretary of Education Betsy DeVos proposes erasing an Obama-era rule meant to hold bad schools and career programs accountable for graduating students with high debts and few job opportunities. Here is what we and our partners had to say. 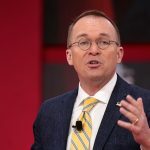 In the latest move by the Trump Administration to undercut consumer protections, Trump’s Acting Director of the Consumer Financial Protection Bureau announced his plan to eliminate the office that exclusively focused on serving and protecting student loan borrowers. Here is what our partners had to say about this dire action against student loan borrowers.